Cagliari are like the foster child that everyone looks at with pity. 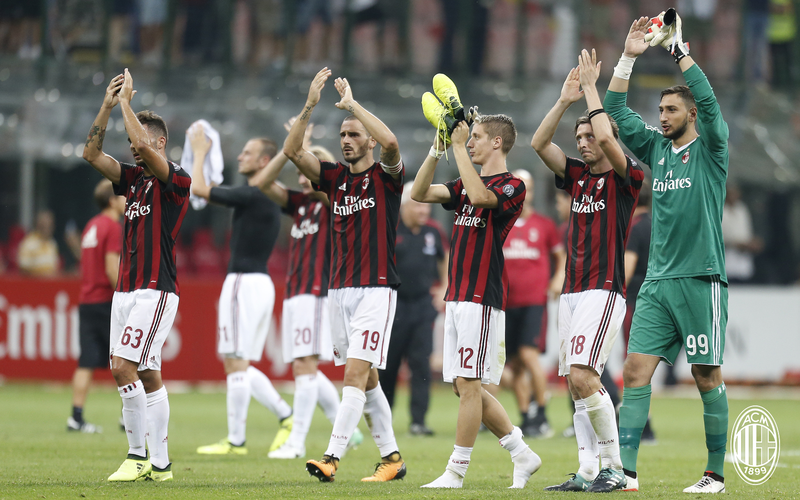 They started their season away to Juventus and now have to travel to the San Siro to face Milan. Ouch. Meanwhile, Milan fans are anxiously awaiting the chance to welcome their team at home. After a record breaking Europa League qualifying attendance of 65,000 fans, season ticket holders are waiting to see their newly revamped team at the San Siro. Sorry, Cagliari. This season is not smiling kindly upon you. But for Milan fans, we are thrilled to host anyone in our renewed fortress, home sweet San Siro. 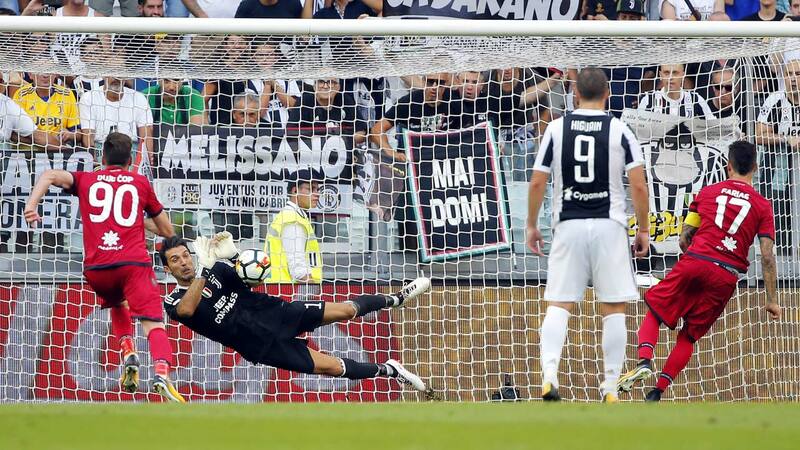 Cagliari have to be slightly traumatized at the 3-0 trouncing they received from Juventus last week. Other than eight days of rest, they come to Milano with pretty much every disadvantage. For the loss to Juve, Rastelli lined up Cragno; Pisacane, Andreolli, Capuano, Padoin, Farias, Cigarini, Barella, Ionita, Farago, and Cop. It appears that Rastelli has a full squad at his disposal for their trip from Sardegna. But let’s not be careless in assuming that Cagliari are going home empty handed. They finished 11th in the league last year and are fully capable of ruining our homecoming. However traveling away to two big teams for the first two weeks is a pretty hard pill to swallow. Montella should be pleased coming home from Macedonia with a qualifying berth in the Europa League group stage. But no time to even think about the draw, because he must prepare the team for Sunday. 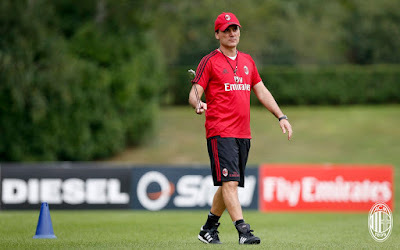 He will still be without Biglia, Bonaventura, and Niang. Not sure whether Paletta, Gomez, and Sosa will be called up with the transfer window closing this next week. And we’ll see if Montolivo has overcome his shock in scoring to join the squad again. Gigio did not travel with the squad to Macedonia, but will undoubtedly start in goal. Tactics are an even bigger question than callups. Montella opted to try a 3-5-2 vs. Shkëndija, which was awful, albeit without his normal starters. Switching tactics like that is going to be a work in progress, but he really seems committed to that system, so we should perhaps get used to it. The good news is that with a decidedly better squad than last season, they just may be able to pull it off. If Montella plays all of the good players. Whether or not they can sustain it or have the personnel to make it our best system remains to be seen. And this week is a test of their endurance, having just played on Thursday. Milan need every point possible in the league. If the team are tired this week, it’s only going to get worse the deeper we go into Europa League competition. These games are so important to stay focused and fight through to the final whistle. Cagliari is exactly the type of team to come along and steal three points or even just a point before we even know what happened. They are rested and likely wanting some revenge after their result last week. So we need to take advantage of the power of the fans at the San Siro. With that support, the team can overcome tired legs and travel weariness and be empowered by home, sweet San Siro. This match will NOT be televised LIVE in the U.S.